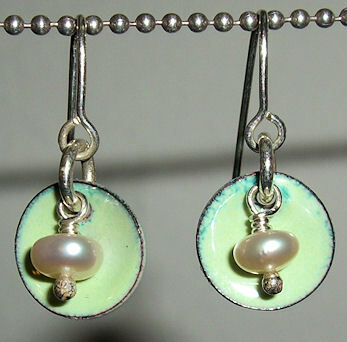 I enameled these two disks last night and quickly threw these earrings together. I think they turned out kind of cute. The picture is deceiving. They are really tiny and petite.